33x12.50r15 Treadwright Claws - love 'em! 3.5" Tuff Country - not recommended. !!!!!! !WANT TO BE FEATURED IN THE YEARLY CALENDAR? ENTER YOUR RIDE IN THE CHEROKEE OF THE MONTH CONTEST!!!!! Your more than welcome to come ride with them when ever we go out!!! lmao i did mean the jeep also what happened? ah ok so then the AT3 is definitely a improvement over the wild tracks that keep going flat lol how is yours doing btw? think that a/t3's would be the best bang for your buck choice? i wasn't expecting the nankangs to be that troublesome! Hey basslicks I see you have the nankang mudstars, how are they? I think I am going to get them for my Ironside project, do you recommend them? What are your afterthoughts on the Accel coil? Do you notice any differences, running, starting? Did it resolve any previous problems? Been considering for my 89XJ (slightly different coil) and my 95ZJ (appears same coil). Would you recommend the Accel product? thanks for all the info! thought I'd post here instead of bumping the thread. Thanks for the compliment, Kick! 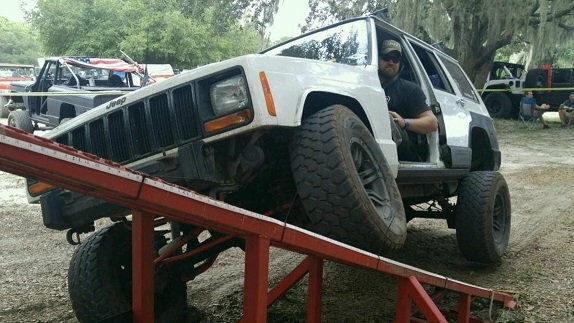 Actually, the photo you're talking about was here... https://www.cherokeeforum.com/f46/pr...5/#post3072717 on thatXJguy's Jeep.. and come to find out, it wasn't actually separation of the axle. Here's what happened "No I had a giant Zip Tie there that was holding the E-brake cable. I cut it off to make more room for installing the shock. The zip tie covered an area while I painted the axle." -thatXJguy. I wouldn't say that it's "normal" for your axle to separate - if that's indeed what's going on. PM me a photo of what you're seeing. It may be nothing, or it may be something you need to get taken care of eventually.